"After having all of my students practice using the Practice-Right at home and in their lessons, I found that I do not have to spend time during the lessons making corrections to the right hand… it’s staying perfectly in place. The difference in helping to produce a great sound was immediate. I strongly endorse this product for all teachers and players"! "Practice-Right promotes proper alignment of the wrist to the fingers, providing sensory feedback on the amount of wrist flexion and extension one should have when playing guitar. You can use it to stabilize the wrist joint for prevention and treatment of musculoskeletal injuries like tendonitis and carpal tunnel syndrome." "New students, particularly little kids, seem to have a particularly hard time keeping a good relaxed wrist position with the wrist out enough to be able to use the fingers and thumb effectively. Stevan Jovic's Practice-Right is a clever way of helping to keep such students' wrists bent correctly, and it does help. Bravo!" "Practice-Right is going to be very helpful for beginning guitarists. It will help players not to make mistakes from the very beginning. Use Practice-Right and enjoy the music!" Within the first week of using the Practice Right, I believe it has been well worth its money. It immediately exposed that when I play faster my wrist tenses and straightens a little bit. This has reminded me to stay relaxed, keeping the same level of arch in my hand position, which has lead to better playing. I highly recommend this product. I actually use this under my wrist so that the bent part touches my palm. I find this more effective for me as a beginner but I can see this may cause a problem as my music becomes more complicated however I'm hoping I won't need it by then. It does have a tendency to slip but it seems they've addressed that with the improved version. I play bass guitar. I purchased the wrist band to improve my right hand alignment, but I have also found that by placing it on my left hand and inverting its position (top to bottom) it has tremendously helped relieve my carpral tunnel pain in my left hand as well as keep my left wrist straight which makes me play notes cleaner. I am purchasing another. 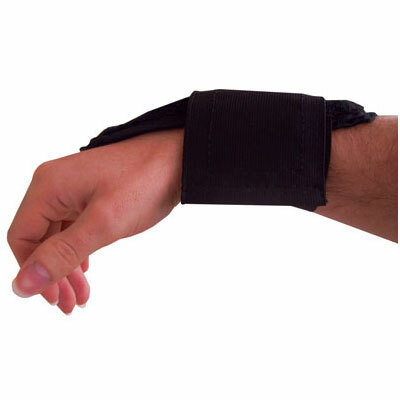 I purchased a Practice-Right "splint" for proper wrist alignment. I am pleased to report that it has been a great help to me and my right hand technique is improving. In addition, it appears to be a well made device, so it should last awhile. Thanks for the suggestion of this piece of equipment.